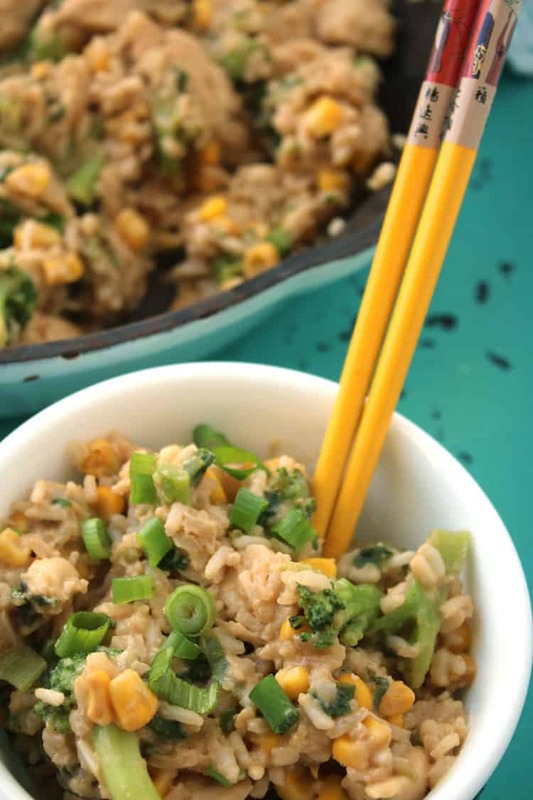 Whether you eat a gluten-free diet or not, you’ll love this tasty and easy gluten-free Chicken Fried Rice recipe! It’s ready in just about 40 minutes and makes a wonderful healthy gluten-free dinner choice. Easy gluten-free recipes are here! Seriously, I can’t get enough beef & broccoli and fried rice. Unfortunately, most brands of soy sauce have gluten in them, but if you get La Choy brand, it’s gloriously gluten-free! 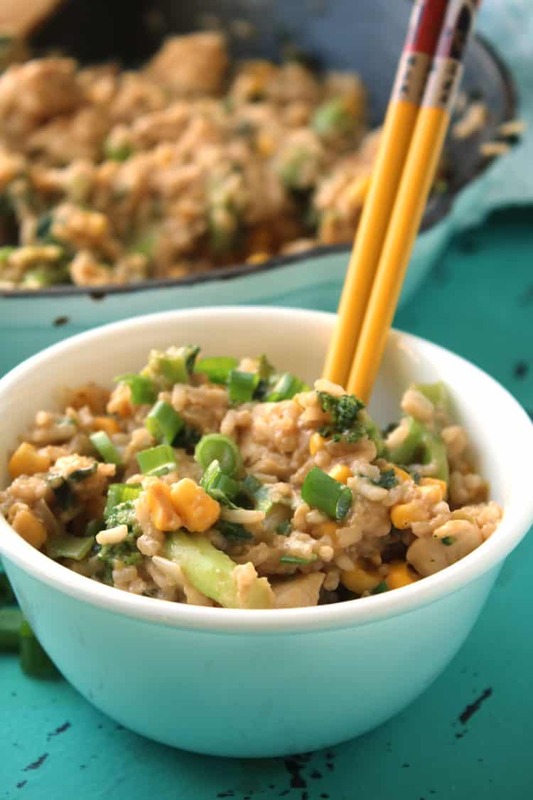 Make this Chicken Fried Rice as-is with chicken or change things up a bit and make it with beef. 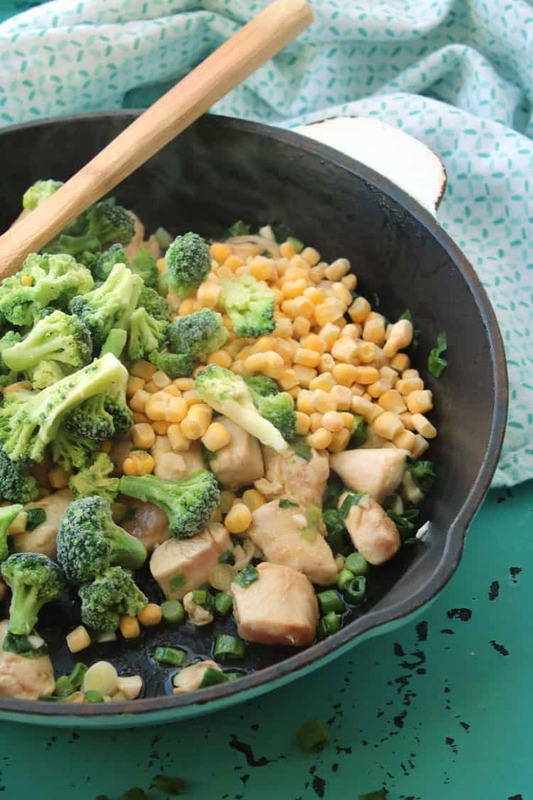 If you make it with chicken, it will quickly become one of those gluten-free chicken recipes you can’t live without, like Sweet and Sour Chicken and Teriyaki Chicken. So, here’s a gluten-free chicken recipe that helps to get through those tough take-out cravings! An added bonus to this recipe is that it can be made with any meat you want and whatever vegetables (fresh or frozen) that you happen to have on hand. 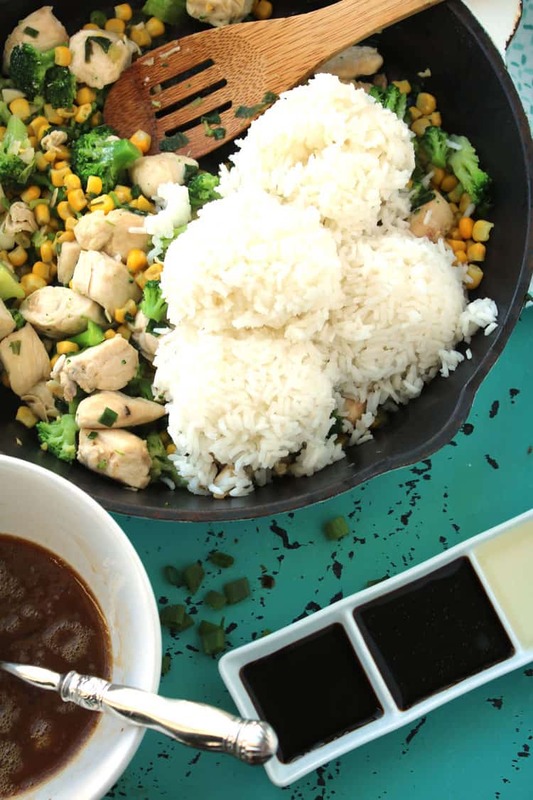 Step #1: To make this Chicken Fried rice recipe, you’ll first need to cook the rice. It’s best if you use rice that’s a day or two old, but I don’t always have time to make it beforehand. You’ll need 4 cups of rice. 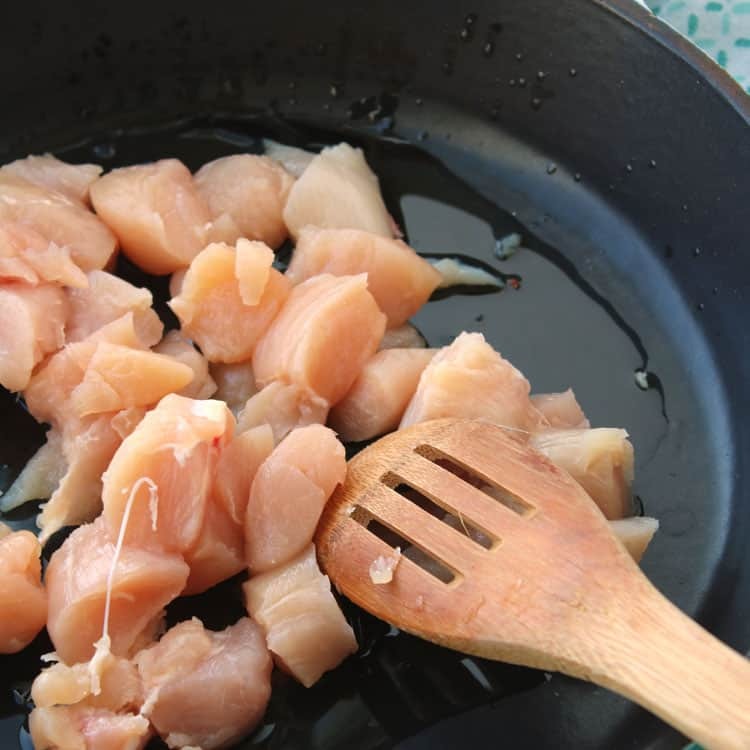 Step #2: Then chop up 2 large chicken breasts and add them to a large skillet with 1-2 tablespoons of oil and a few drops of soy sauce. 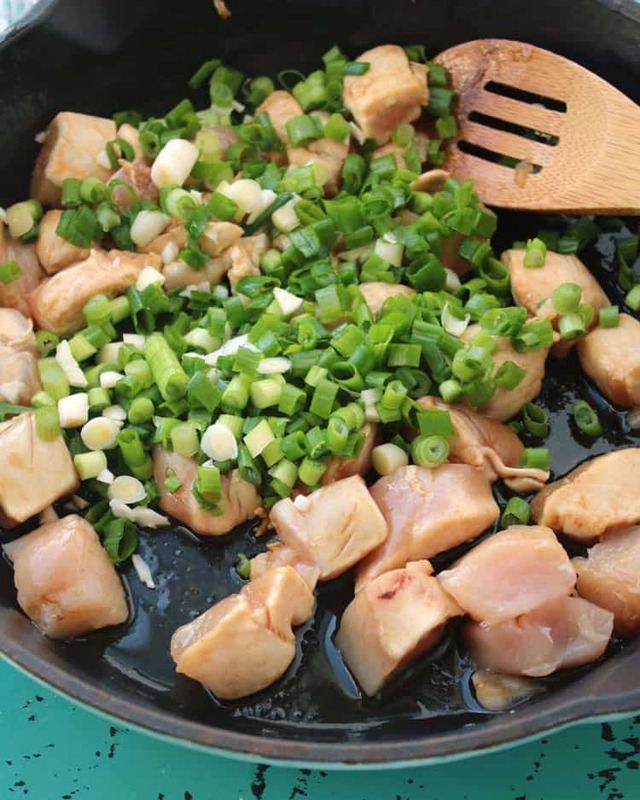 Step #3: After the chicken has cooked for a few minutes, add in 6-8 chopped green onions and 2 cloves of chopped garlic. Step #4: While that’s cooking, whisk together 2 eggs, 2 teaspoons soy sauce, and 2 teaspoons sesame seed oil. Step #5: Now that your chicken & onions are fully cooked, add vegetables of your choice. I usually add 1 1/2 cups frozen broccoli and 1 cup frozen corn. Step #6: Cook until the vegetables are hot. Add in your rice. Now add 3 tablespoons gluten-free soy sauce, 2 tablespoons rice wine, and the scrambled egg mixture. Step #7: Stir until the soy sauce is mixed well. 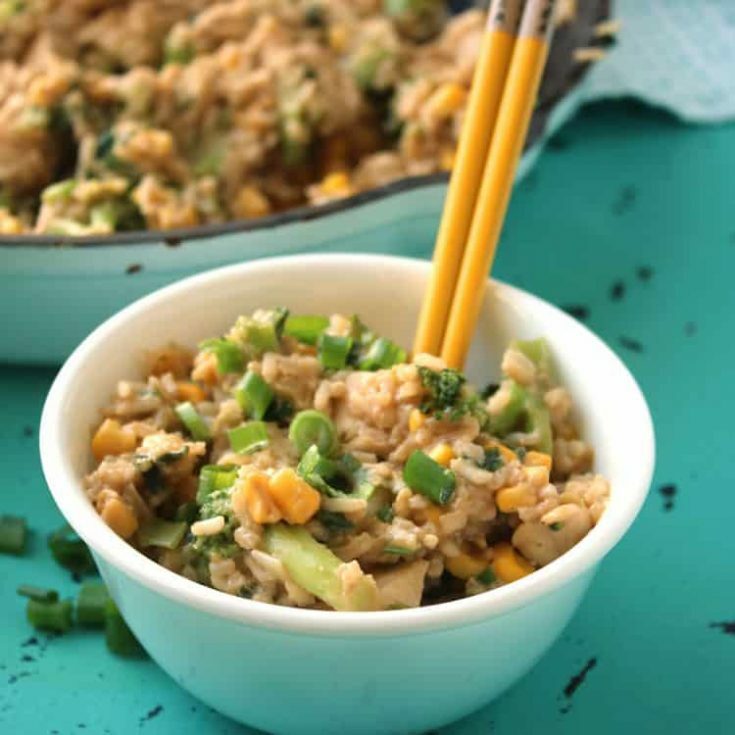 Now your gluten-free Chicken Fried Rice is ready to be devoured! Making a gluten-free dinner doesn’t have to be complicated, and easy gluten free recipes that taste good are so worth it. Want More Gluten-Free Chicken Recipes? For more gluten-free chicken recipes and other gluten-free recipes, check out Gluten-Free Recipes in 30 Minutes! 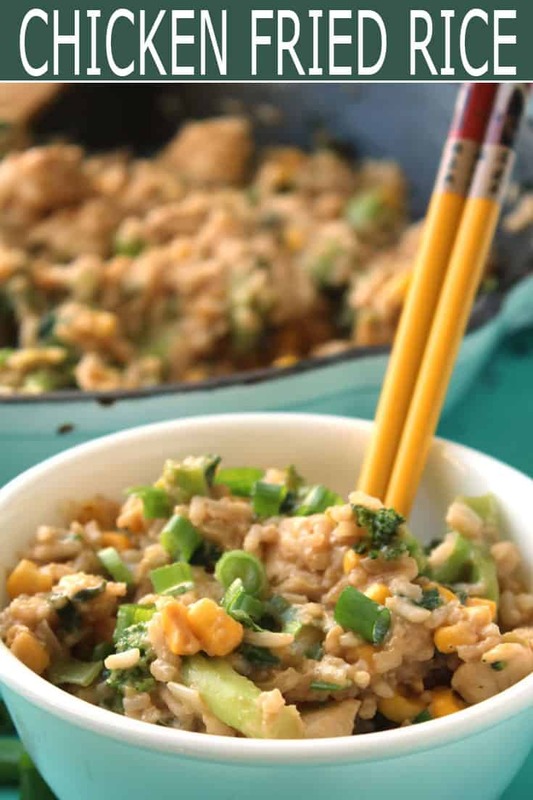 You'll love this easy gluten-free Chicken Fried Rice recipe! 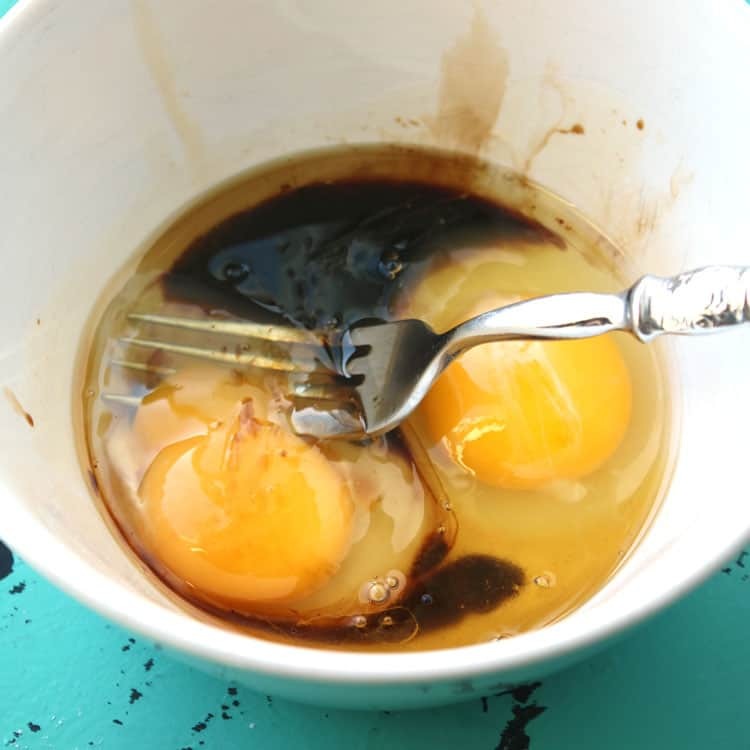 Whisk together 2 eggs, 2 teaspoons soy sauce, and 2 teaspoons sesame seed oil. Add vegetables to chicken mixture & cook until the vegetables are hot. Add in rice & stir well. 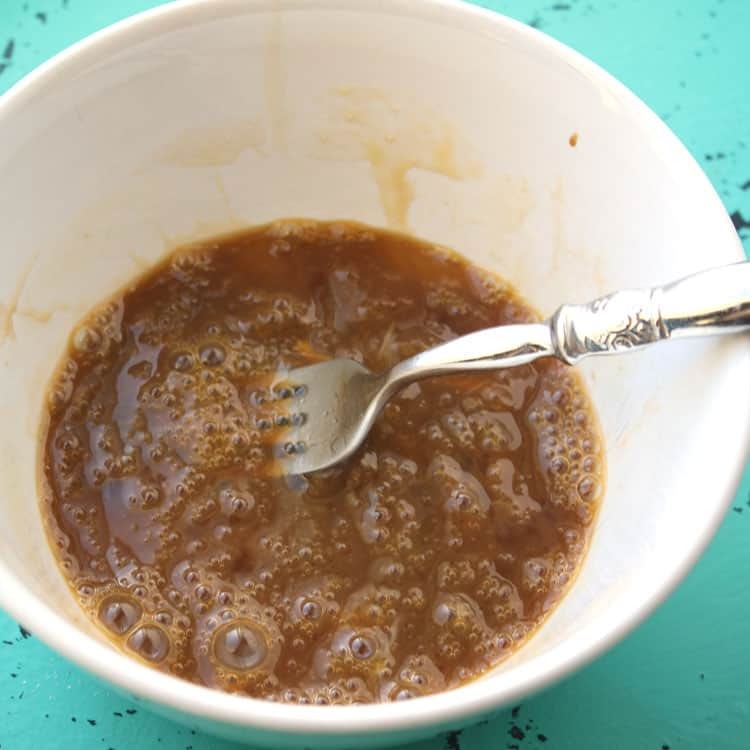 Add in 3 tablespoons gluten-free soy sauce, 2 tablespoons rice wine, eggs. Stir until the soy sauce is mixed well and eggs are cooked. Cook time includes time to cook rice. How can this be gluten free when it has soy sauce in it? I don’t think bacon bits are gluten free. Also, many people have gluten reactions from La Choy. Make sure it specifically says gluten free on the label. I love fried rice. I have been buying tamari instead of soy sauce because I didn’t know that there was a gluten free brand of soy sauce available. Now, I will have to check out the bottles of LaChoy brand soy sauce. Will minute rice work to be refrigerated and then used? In out of regular!